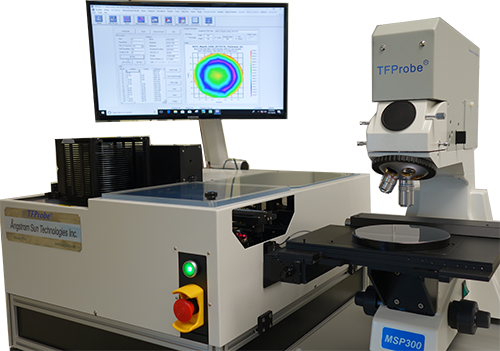 TFProbe Series,Spectroscopic ellipsometer(SE), spectroscopic reflectometer mapping system (SRM) and Microspectrophotometer(MSP), automation tools are available. Please contact us for details. Thanks to our customers for great confidence and support!!! “As spectroscopic ellipsometry rapidly moved to the top of our list of required metrology for our development, Dr. Sun and his team at Ångstrom Sun Technologies provided our technical staff with strong technical support in the time leading up to our instrument purchase. When we decided to move ahead with acquisition of an Ångstrom Sun tool, Richard and his team met a very aggressive manufacturing and shipment schedule, which provided a tremendous benefit to us. And as we develop our own expertise in running the instrument, the Ångstrom Sun team continues to provide rapid, high-quality support for us. We’ve been very happy with our relationship with Ångstrom Sun and look forward to continuing to work with them.” David Maloney, COO, Equity Solar, Inc. Various Wafer Sizes 2. 4, 6, 8 and 12"
Both spectroscopic ellipsometry and reflectometry are model based technique. 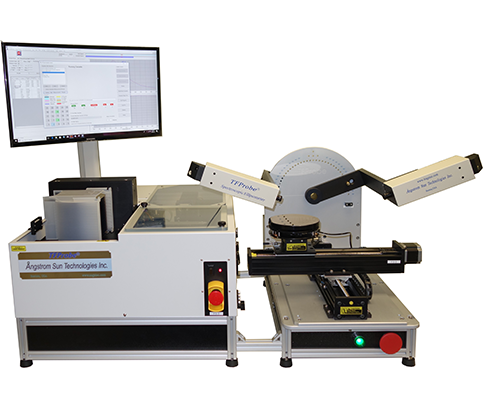 Advanced software and professional application support are key to implement ellipsometer and reflectometer tools in various thin film application area. With this in our mind, we always provide unlimited application modeling assistance and free upgrade on our software with our tools. The word "sold" is not our sales activity. Using our tool and getting what you want are our job. “We did a trade study of what we considered to be the seven-best spectroscopic ellipsometers that we could afford. 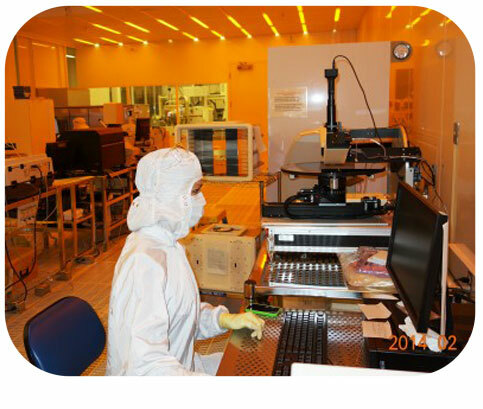 We sent test films deposited on 150mm diameter Si wafers to each manufacturer to ascertain their tool meets our applications: (1) ~120nm of SiGe on ~100nm of SiO2 on Si; (2) ~120nm of TiN on ~1000nm of SiO2 on Si; (3) ~100nm of Ge on Si. Only two companies correctly measured each index and each individual thickness respectively. Angstrom Sun Tech is one of them. We were interested in the visible and getting as far into the IR as possible without buying the IR version (out of our price range). We found that the Angstrom Sun Technology SE200BM spectrum went from 250nm – 1100nm. In addition to measuring films that allow the shorter visible wavelengths to pass, the longer wavelengths allowed us to characterize GaAs/AlGaAs quantum well structures, and a host of other patterned films such as Ge and Si that have high lost in the visible. Further, the motorized mapping allowed us to reliably measure uniformity. Finally, the bottom line – Angstrom Sun Tech came in at the lowest price. 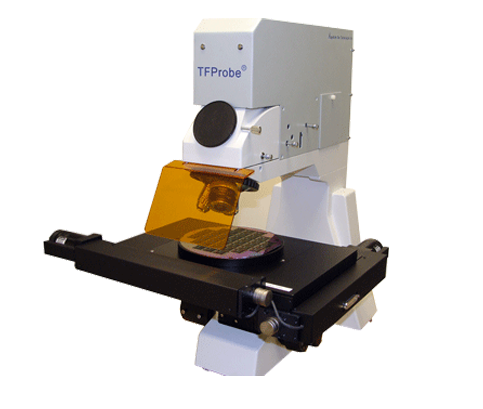 “We learned Angstrom Sun Technologies through internet search for Ellipsometer vendors. 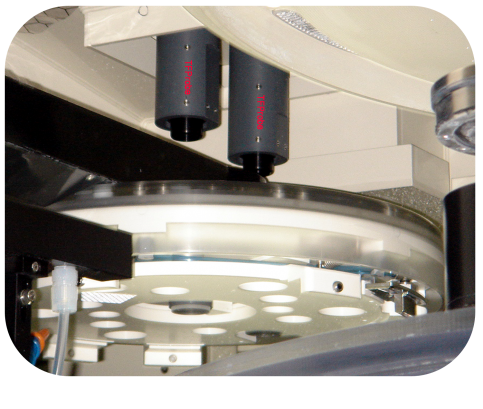 While evaluating many Ellipsometer vendors, Angstrom Sun Technologies provides the most competitive pricing, shortest tool delivery time, and fastest response on technical questions. 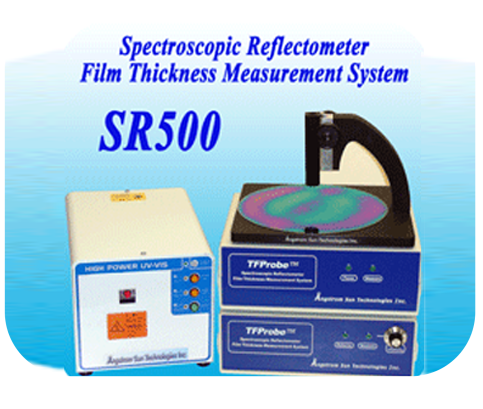 We purchased the spectroscopic ellipsometer originally for measuring a film on silicon. 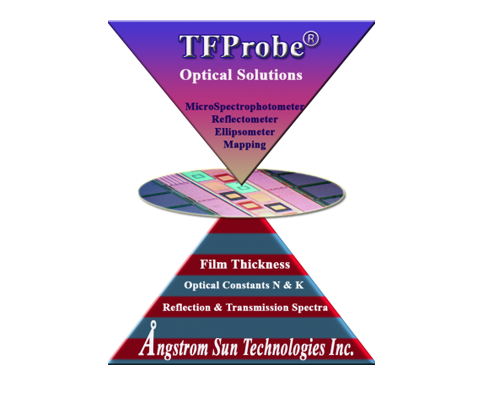 While we tried to measure another film on glass, Angstrom Sun Technologies provided the recommendations how to measure the samples and set up the model. It was only 2 days from request of technical support to ready for the specific application. Really appreciate the support from Angstrom Sun Technologies.” Kurt Pang at Siva Power. 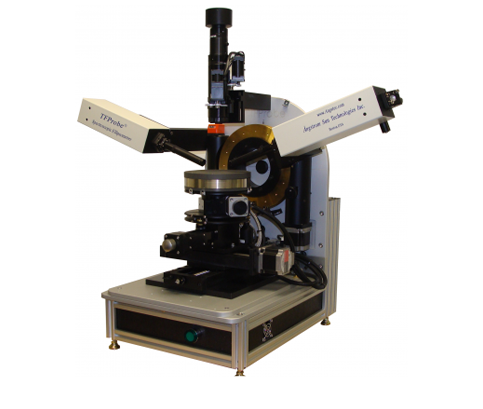 "We purchased a model SE200BM spectroscopic ellipsometer from Angstrom Sun for use in our product development lab. The instrument and initial training were both delivered on the dates originally promised which directly supported meeting our project startup milestones. Any requests for technical support have always been met with a short response time. The staff goes out of their way to get you the answers you need. Periodic updates to the software are readily available so the end user can take advantage of latest developments as the control program continues to evolve. We use the instrument on a regular basis and anticipate enjoying many years of dependable service from it." 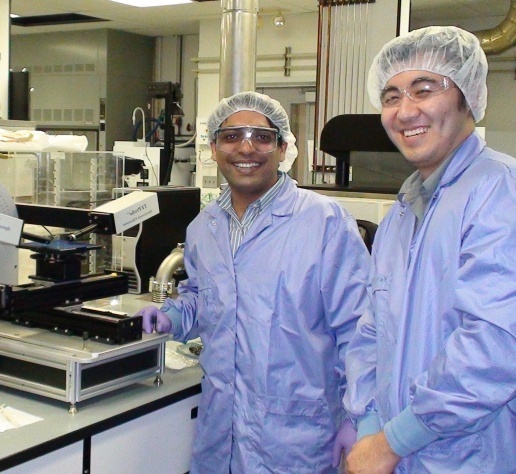 Matthew Breuer, Staff Scientist at Photonis USA, Inc.
“Formally Novellus System and now Lam Research, we are the owners of two SE200BM-M450 450 mm Angstrom Sun Spectroscopic Ellipsometry systems that saw heavy use on the 450mm wafer program at the time. Throughout Dr. Sun and his team supported critical customer requirements for urgent customer demands of a more aggressive edge exclusion by quickly implementing very effective upgrades on the tool; such as, improved software to increase measurement throughput, newly designed ceramic pin posts and an optical camera installation to improve wafer centering, and a motor and cable assembly upgrade which enhanced stage accuracy and repeatability. At the time of purchase the tool was guaranteed for 3mm EE, but these upgrades gave it repeatable 1.5 mm EE capability in order to meet the customer’s stringent demand. Every time we had a newly developed films that required n, k and thickness measurements, Dr. Sun and his team were always available to provide support with modeling development in a timely manner. Angstrom-Sun’s excellent support helped us to meet our customer’s needs for critical 450mm projects. Dr. Sun and his team continue to provide hardware, software and modelling support whenever the need arises. As the tool owner, I appreciate the support and look forward to working with Dr. Sun and his team with a great sense of satisfaction.” Natalie Tran, Metrology engineer, Lam Research Corp.
“The ellipsometer (Model SE200BM-M300, manufactured in 2012 and upgraded to 300mm mapping capability in 2014, by Angstrom Sun Technologies Inc.) is used daily in our department due to the reliability of the measurements, the built in software and the ease at which we can measure a large number of samples due to the 300 mm wafer mapping technology. In addition to all of this, whenever we have difficulty Dr. Sun and his team have provided excellent and prompt technical support which has been extremely helpful in modelling more challenging samples and meeting customer schedules”, Ross Anthony at Applied Materials Inc.
“As spectroscopic ellipsometry rapidly moved to the top of our list of required metrology for our development, Dr. Sun and his team at Ångstrom Sun Technologies provided our technical staff with strong technical support in the time leading up to our instrument purchase. When we decided to move ahead with acquisition of an Ångstrom Sun tool, Richard and his team met a very aggressive manufacturing and shipment schedule, which provided a tremendous benefit to us. And as we develop our own expertise in running the instrument, the Ångstrom Sun team continues to provide rapid, high-quality support for us. We’ve been very happy with our relationship with Ångstrom Sun and look forward to continuing to work with them.” by David Maloney, COO, Equity Solar, Inc.